I mentioned the release of his second novel, “The man with the compound eyes” which had some impact in the English-speaking world but had hardly been supported in France; a very good novel on pollution and the continents of plastic waste that drift on the oceans. This is why the translation into French by Gwennaël Gaffric (who runs “Taiwan fiction” at the Asiathèque) of a remarkable collection of short stories” The Magician on the Bridge” is to be praised. A market in the heart of the Taipei megalopolis where the author lived as a child. Built in 1961, this market was divided into eight buildings linked by footbridges. The Chughua market was the symbol in the 1970s of the accelerated development of the country’s economy. Its decline led to its destruction in 1992 and the people who populated it re-established themselves in the underground commercial galleries of the Taipei metro. This is somewhat the kingdom of the author, as the area of Gaomi for Mo Yan. It is a link that unites the shop keepers, the writer and his classmates; a field for adventures for children. The Chunghua market is not the backdrop of short stories, it is often the central subject of these and specially with “Light is like water”. A short text of twenty pages where we are told the life of A-k’a who worked for a long time in the company of Georges Lucas on the models of ” Starwars”. After the destruction of the market, he collects documents and testimonies and builds models which his death will not allow him to finish. “All his life, his dream was to reconstitute a world as subtle as the real world” (p.217). Emotion of the author before the models, it is as if his past had been miniaturized and exposed before his eyes; he even recognizes himself among the children around the magician. 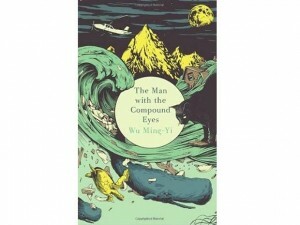 The short stories describe a multitude of characters from very different origins (continental, Taiwanese, aborigines). 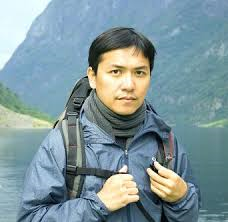 They are often the school’s comrades of the author that he sometimes contacts again after many years and a personal and professional development sometimes unexpected. Most narrators are boys but girls play an important role. They make boys dream but have as much autonomy as they do, especially on the sexual side and do not accept attempts by their fathers to control them. All these memories are never really stories. As the author says: “Memories are fragile objects that we must love and protect but not the stories … it is the story that determines how the storyteller must mention it … It is only when forgetfulness intertwines with memory that memories deserve to become stories” (p.252). The market concentrates the memories but the short stories are also in the contemporary reality. The characters are open to the world; Mark worked and lived in Brazil where he met Ilisa; A-kai married an Iranian girl and trades in carpets. Their professions are quite modern, one is a stockbroker, the other is a specialist in cosmetics. In most cases, the lives of children and their parents has been difficult but the book has no objective of social or political criticism. One must take advantage of what one can enjoy and face the difficulties with a smile. 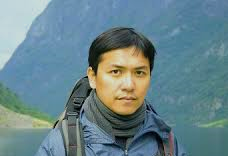 If the tone is serene, the dramas are multiple; several suicides or murders (Mark and Peipei, a train accident, the murders of A-hou and Hsiao Lan …). Sometimes it is the animals that prepare a sinister outcome. They play an important role especially with very young children (with her brother, she raises “Les Oiseaux”) or in the profession of parents: the father of Teresa “reads the future with fish, divination is based on the movements of the fish “(p.152). Also, the disappearance of Mr. Tang’s cat has been a major reason for his death. He is the key figure, a compulsory crossing point. It is no coincidence that he is always found on a bridge, on the same bridge. “In my mind, the existence of the magician was the existence of the bridge. Without a magician, no gateway, without gateways, the market was dislocated and there was no longer a market “(p.252). Children are his best clients; he sells to them magic tricks and tries to renew himself. He is protective and paternal but keeps the distances that are suitable for a magician. He explains to the children “that in this world there are things that no one will ever know. The things we see with the eyes are not the only ones that exist “(p.24). He acknowledges that his real magic is that of the little paper black man who dances, lives, and draws customers. As he says: “Through my imagination, I shape something that you can see. I do nothing but influence your way of seeing the world, like someone who shoots a film (p.29). The magician plays a part in all short stories, he is a reference, a memory or an important character; he is the unifying element of the whole and yet without an intellectual construction (like Macondo with Garcia-Marquez). It must be understood that the time of magic is not the ordinary time and that, therefore, it is necessary to respect these periods and this magician with strange eyes “who seemed to be able to look at two places at the same time” (p.12) . “The magician’s eyes sparkled during the tricks. He was always the same man with his jacket with raised collar, gray trousers and dull boots, but he had the power to absorb the atmosphere, then to unite the light and gravity inside his circle drawn with chalk “(p.13). The magician will be found in the ten short stories in this collection. We read with pleasure the very fluid translation by Gwennaël Gaffric but also an interesting and far reaching postface. For a long time, we will remember many outstanding characters and short stories such as “Light is like water” or “Teresa’s goldfish “. 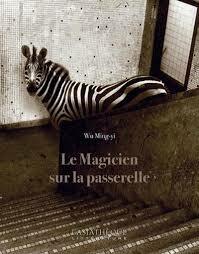 (1) WU Ming-yi, ” Le magicien sur la passerelle”, translated by Gwennaël Gaffric, Asiathèque, March 2017, 270 pages, 19.50 euros.